The Community Garden originally began with the help of RRROCA and the City of Calgary who created a designated garden space on the land located by the ball diamonds on Royal Oak Drive. Since then, the garden has been run as its own volunteer co-operative, not affiliated with RRROCA. Each gardener is a resident of either Rocky Ridge or Royal Oak and is allowed to rent one or two plots per year for a nominal fee in order to grow their own vegetables, flowers and herbs. The money raised by plot rentals goes back into maintaining and improving the garden. 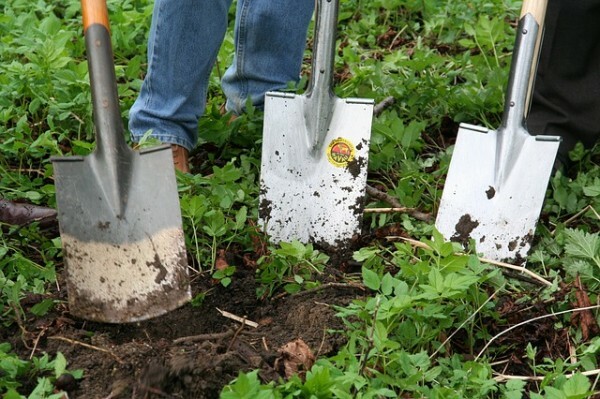 Each gardener also provides some “sweat equity” in helping to mulch and weed the perimeter of the garden and they may also volunteer to undertake improvements such as planting more perennials, improving the wooden garden boxes and maintaining the equipment for the gardeners. The two sturdy wooden benches on the edge of the garden were donated from the Calgary Devonian Gardens before its refurbishment. The overall goal is to continue to keep the garden area as attractive as possible, both for the gardeners and the community as a whole. The garden encourages sustainable and organic gardening practices as much as possible. The other main objective of the garden is to enable people who are new to gardening to learn from more experienced gardeners, which will ultimately grow a local gardening community.